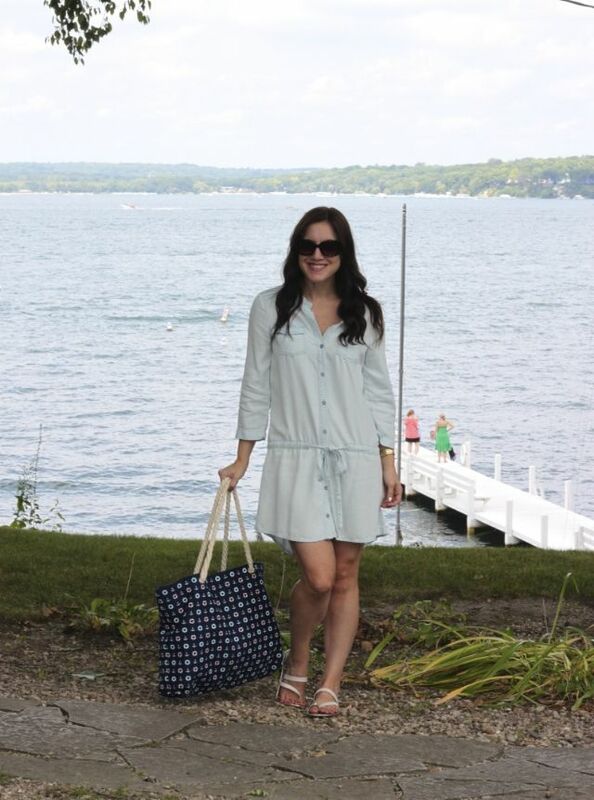 Outfit: Chambray Dress is Best! What's not to love about a drop-waist chambray dress? I found this beauty last year and, to be honest, forgot about it. Don't you hate when you loose a great item in your closet?! Finding this was a beginning of a big closet cleaning. I feel like you should always know what's in your wardrobe, I clearly had too many items in my closet! I was at the lake house so I kept the styling beyond simple. I only added a watch, sandals, and this adorable anchor print bag. I'm pretty sure it doesn't get easier style wise then this. Do you own a chambray dress? Do you like this one? Shop my closet here. Over 30 items added in the past week and more coming soon!